Are you feeling financially stuck? Maybe it is because you are only getting 10% of your financial life right. I know this happened to me. 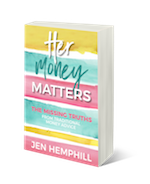 In today’s episode, I share why in this special preview of my upcoming book Her Money Matters: The Missing Truths From Traditional Money Advice! Growing up, Jen’s father taught her about money like how to balance a checkbook, and to be cautious when using credit cards. He especially emphasized that if she was to use them, she should pay them off each month so never carry a balance. She also saw her parents endure financial hardship and she was determined to not have that happen to her. Fast forward to when Jen and her husband got married. Jen eagerly took on the task of managing the finances head-on. She educated herself by reading personal finance books and decided to implement the things she learned in her own life. 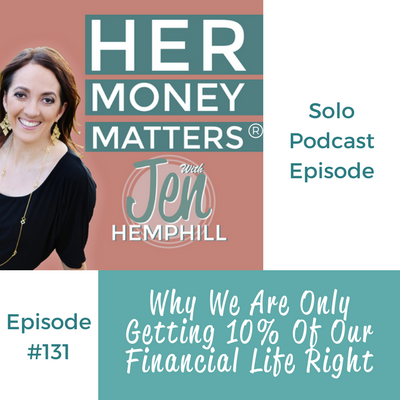 The main message from traditional money advice was “save more, spend less, get out of debt.” With this in mind, Jen diligently managed the finances, felt as though she had things under control and was doing well with it. She and her husband had one checking account, where all the money went in and expenses were paid out, and one savings account and were contributing to their retirement. They put money aside whenever they could but occasionally dipped into it. Also, they weren’t trying to make extra payments on their debt. This scenario basically went on for years. In Jen’s mind, if she was taking these actions, i.e. doing the right things, it was going to pay off. Fast forward 10 years into their marriage and Jen really took a good look at their finances. They were still in debt, they continued to dip into their emergency fund and even had to go into their retirement at one point. Jen felt ashamed and sad and wondered what in the world they were doing wrong. They had been following the traditional money advice of save more, spend less and get out of debt. While they were not in a bad financial spot, they hadn’t moved forward very much at all. And they did not have any extra money for other fun things. That sent Jen on a journey of reflection, to figure out what happened, and what they could they do to make things better. In her endeavors to make things better, Jen came across T.Harv Eker’s book “The Secrets of the Millionaire Mind”. This really opened up her eyes on money mindset, and she had many aha moments. She had been focussing on savings, investing, paying off debt, but she realized that this was just a small piece of the overall picture of their finances – 10% of it, in fact, called money skills. It was following the realization that money mindset was a much bigger component of successful money management, that Jen’s book The Money Headquarters – The Missing Truths from Traditional Money Advice, came to be. So what is meant by “Money Headquarters”? In a nutshell, Money Headquarters is a comprehensive outlook to managing your financial life, which goes beyond traditional money advice. Hence the title of Jen’s book. Money Headquarters has three components: Money Mindset, Money Actions, and Money Skills. Money mindset defined: Thoughts and feelings you form about money as a result of what you heard, observed and experienced during the course of your life. The money mindset composes 60% of your money headquarters. Traditional: Negotiate your credit card interest rate. Non-Traditional: Commonly feared money conversations. Money actions compose 30% of your money headquarters. Non-traditional: Understanding the intensity of budgeting you need in the current season of your life and having a money system to manage it. Money skills compose 10% of your money headquarters. Armed with this information, Jen started working on her mindset which was coming from a place of lack (we can’t afford it, we don’t have money for that, etc.). She needed to get clear on her past money story. Jen began journalling around her money stories to gain more clarity. In so doing, she realized her past stories were repeating themselves. She began to change her thinking, and asking herself “How can we take that trip, how can we…. etc.”. So how do you find out your Money Headquarters percentages? 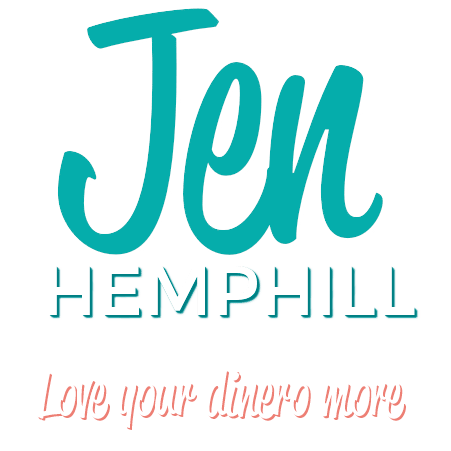 To find out, Jen has a worksheet you can download at www.jenhemphill.com/moneyheadquarters. The post Why We Are Only Getting 10% Of Your Financial Life Right | HMM 131 appeared first on the Her Money Matters Podcast.